A drawing game that will light up every party! Everyone is drawing one picture together... but one doesn't know what everyone is drawing. 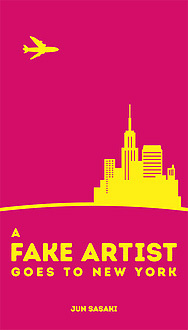 There is a fake artist hiding among the real artists - can you find out who it is? The fake artist has to be careful not to be identified and the real artists have to be careful not to make it too easy for the deceiver.